The government on Monday passed a sweeping measure to tighten Israel's belt at a time when the world is facing another financial crisis. PM Netanyahu at Cabinet meeting. The government on Monday passed a sweeping measure to tighten Israel's belt at a time when the world is facing another global financial crisis. The measures include raising taxes, increasing fines and cutting budgets. Extending the “temporary” order issued in February 2011 to raise the purchase tax on investment apartments. A 5% tax on properties costing up to NIS 1 million, and 7% on properties costing NIS 3 million and above, will be in effect until the end of 2013. The so-called “Green Tax” on sales of vehicles according to their pollution levels is also set to be updated in accordance with Environmental Protection Ministry data. The purchase tax on cigarettes and cigars was increased – last week – from 260.6% to 278.6%. the purchase tax on beer went up from NIS 2.18 per liter to NIS 4.19 per liter. In addition the Value Added Tax (sales tax) will rise by a single percentage point to 17% by this Wednesday. Fines are to be increased on businesses caught making black market deals. Starting January 1, 2013, income tax will change for everyone except those in the two lowest income brackets – at 10% and 14% -- and in the highest income bracket at 48%. For those in the fourth-highest monthly income bracket (NIS 8,881 – NIS 14,430) taxes will rise from 21% to 22%. Those who make Nis 67,000 per month or more will have their income tax raised by 2%. Those in the second and third-highest income bracket will have their taxes raised by 1%, to 31% and 34% respectively. Employer contributions to Bituach Leumi – the National Insurance Institute (NII) – will rise for workers earning more than 60% of the average salary, from 5.9% to 6.5% in 2013, then to 7% in 2014, and then to 7.5% in 2015. There will be an across-the-board 5% budget cut in every ministry for the remainder of 2012, according to the plan. Next year, budgets will be cut by an additional 3%. One ministry escaped the slashes – the Education Ministry, which suffered only a 1% cut this year and a 3% cut in 2013. 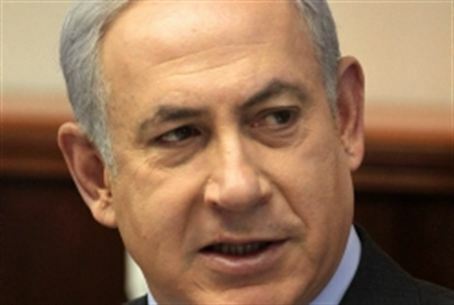 The cuts are to fund “changes in priorities,” according to Prime Minister Binyamin Netanyahu and Finance Minister Yuval Steinitz. But Netanyahu promised that any agreement on social action deals resulting from the Trajtenberg Report would stand. Those include the NIS 800 per month to be saved by some 300,000 families who send their 3 and 4 year old children to free nursery schools, and the new free after-school programs to be implemented in September for children ages 3 to 9. Close to 400,000 families will also still be eligible to receive hundreds of shekels in tax credits, Netanyahu said. He also agreed that the package was “harsh” in his remarks at the opening of the weekly cabinet meeting. But, he warned, “Governments that did not act in time, did not take determined action and did not act responsibly caused great harm to their people both in terms of mass unemployment and in terms of crumbling social systems.